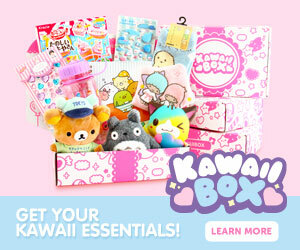 The December’s Japanese subscription box arrived just in time for Christmas. 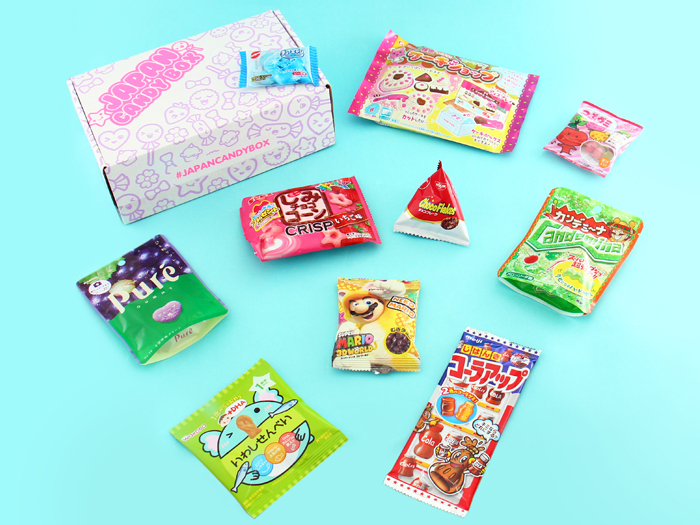 Our favorite Japanese treats this month were the Nissin Choco Flakes, 100% Fruit Juice Gummies and the Heart Gummy Cake Shop DIY Candy. 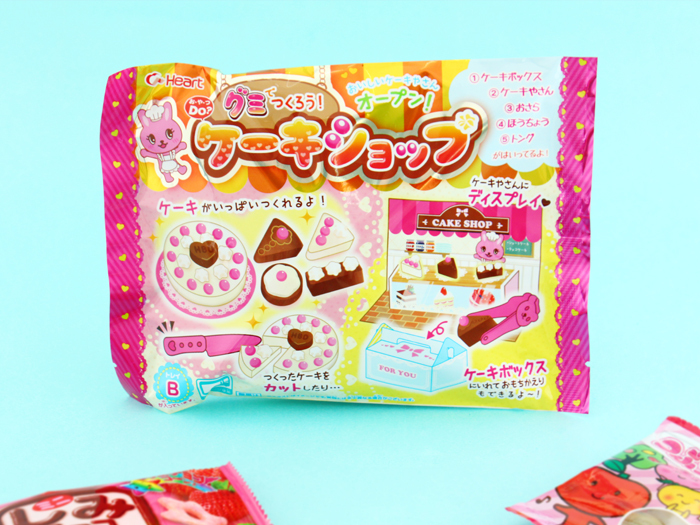 ▲ With this Heart Gummy Cake Shop DIY Candy set, you can make your own delicious & cute cakes! Find a tutorial here. 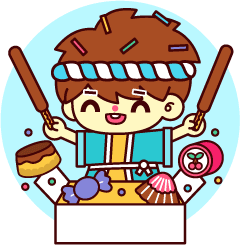 ▲ Japanese people sure love sour candies! 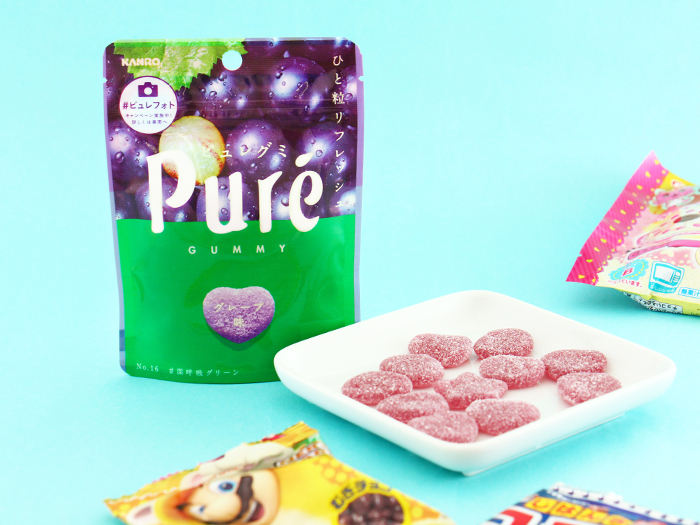 This Pure Juice Grape Gummy bag is packed with sweet grape flavored and sour powder covered purple gummies by Kanro! 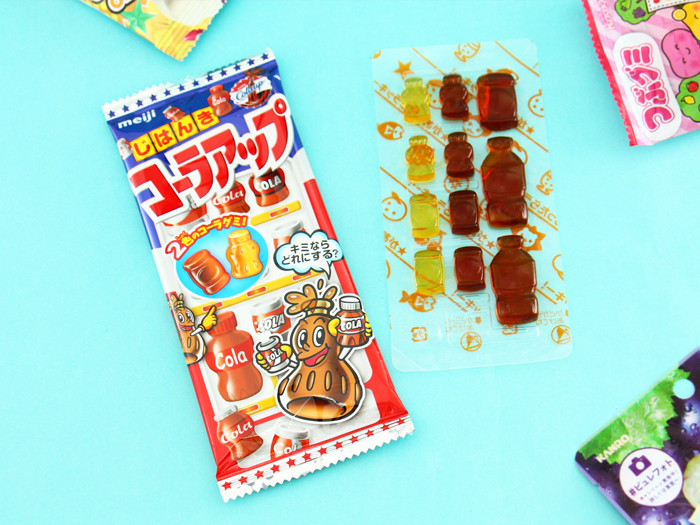 ▲ The Meiji Vending Machine Cola Gummies come in two types of cola flavors, and they are shaped like little cola cans and bottles. The packaging is decorated with a cute vending machine design. 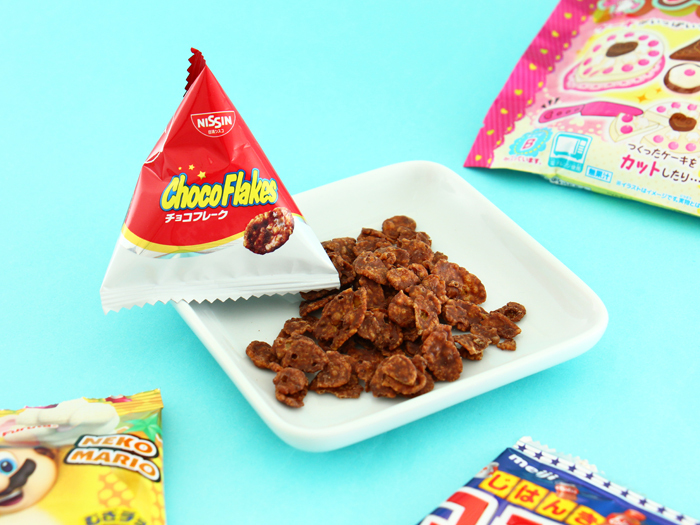 ▲ The Nissin Choco Flakes are like chocolate cornflake cereals but with a thicker chocolate coating! So tasty! 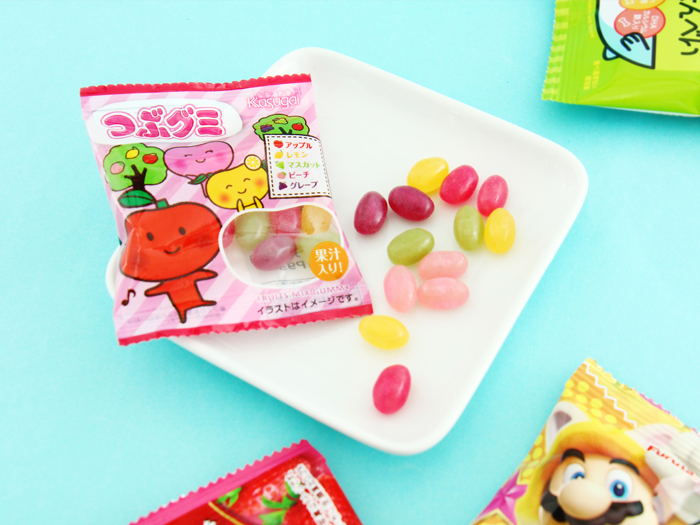 ▲ Kasugai 100% Fruit Juice Gummies are made from pure fruit juice and you can really taste it! Eating these candies is almost like eating real fruits – they are so full of flavor! 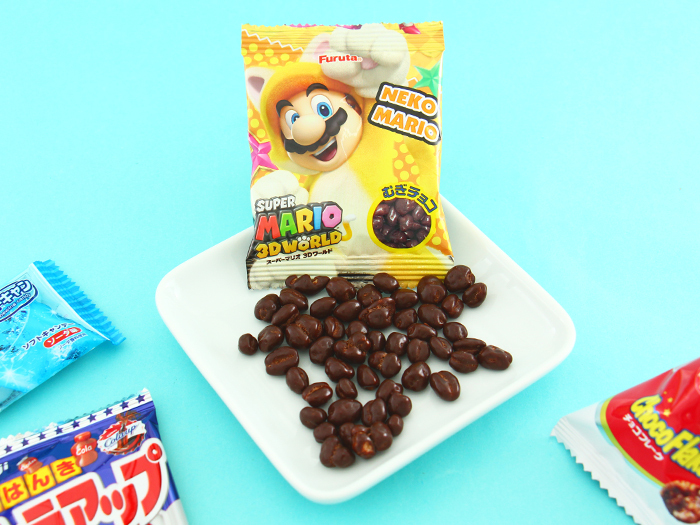 ▲ These delicious Super Mario Chocolates from the famous Japanese manufacturer Furuta are covered with super tasty milk chocolate. 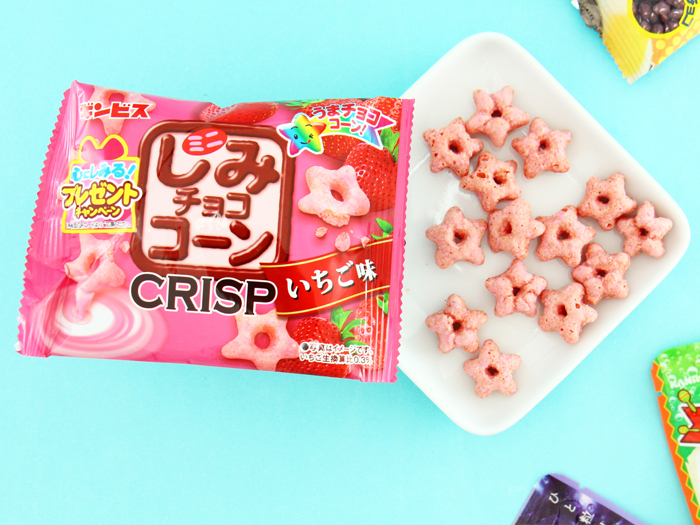 ▲ Ginbis Strawberry Crisp Corn Stars are cute star-shaped corn yummies covered with delicious strawberry chocolate and they are the perfect size for snacking! 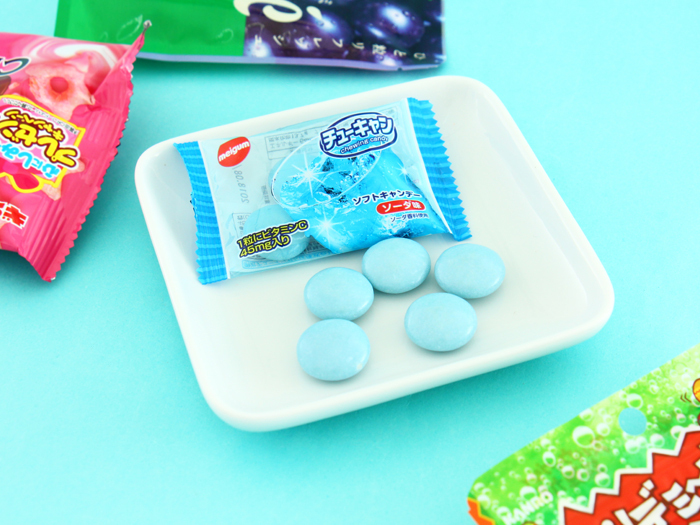 ▲ Meigum Soda Chewing Candies are covered with a hard delicious blue shell and once you bite it open the freshness of soda will explode in your mouth! ▲ Kanro Candemina Melon Soda Sour Candies look wavy and are tangy because of their sour powder coating. 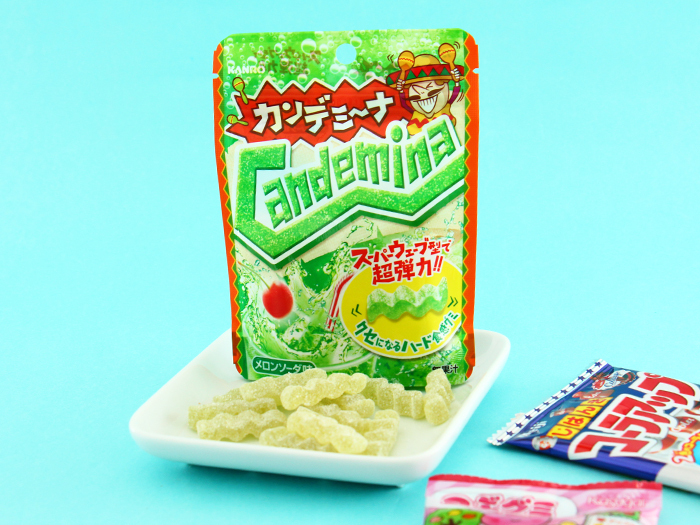 The candies taste like melon soda and are bright green colored! 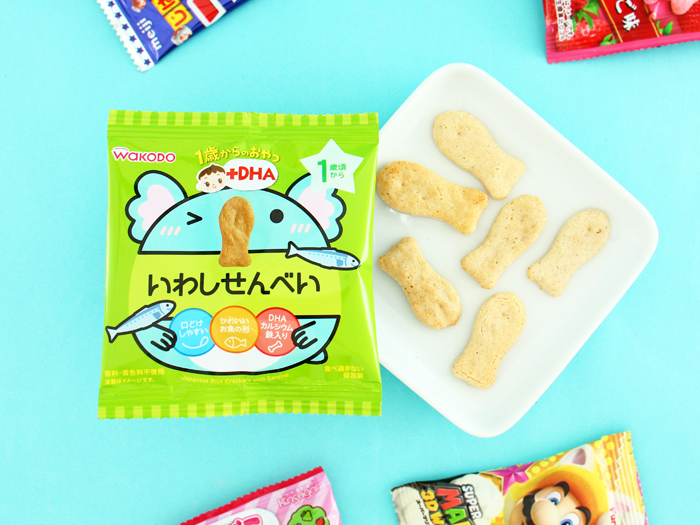 ▲ These Wakodo Baby Rice Snacks are an especially good snack for younger children around the age of 1 as they are easy to eat and hold, free of artificial fragrances and are nutritious with DHA -omega-3 fatty acid, calcium, and iron! Thank you! 😊 It’s never a good idea to post your address in public!